Card Text Action: A friendly creature captures 1 . Flavor text Skeleton sold separately. 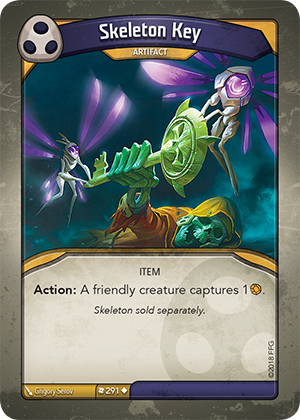 Can I use Skeleton Key’s “Action:” even if my opponent has no Æmber (for effects like “Each time you use an artifact, gain 1 Æmber”)?